Flourishing Property Web portal & Blog ! Builders & Developers may feel free to mail us details of their New projects in any part of India. Details will be uploaded on our Flourishing Property Blog absolutely Free.You can also ask for a Free Listing on our Flourishing Property web portal. Various options to Advertise on the Flourishing Property are also open. Builders Associations, Home builders associations, Associations of Real estate agents & property dealers associations from any part of India or any part of the world, may ask for a Free listing in the Flourishing Property Website. They can also contact us for a Free Banner listing on our web portal for any of the Events & Exhibitions related to Buildings & Constructions, anywhere in India, Overseas, to be organised. Flourishing Property Free News Letter offers latest news related to the Real estate, Property, Infrastructure, Rules & Regulations, market trends, etc. etc. Please log on to our Flourishing Property Blog. Labels: Flourishing Property Web portal & Blog ! I thought I would start my speech by addressing you as the “new” family of my daughter. But I think it would be inappropriate because now that she is married, you are “the family” for her. Believe me; I don’t have a problem with that. but just a request - please keep her happy! She is very fragile.handle her with love. If at times she feels low, be with her. She just needs a little bit of your attention. If at times she feels sick, show her some care. It’s the medicine that works best for her; empathize with her. She is still learning. Do understand her—please keep her happy! I don’t mind if I don’t get to see her for months. I don’t mind if I am not able to talk to her on a daily basis. I would be more than happy if she doesn't remember me much. But, my only motive in life has been my daughter’s happiness -please keep her happy. Our Heartiest CONGRATULATIONS to Dr Rajesh Grover, Director, DSCI, on the announcement of Prestigious Civilian Honour, The 'PADMA SHRI' Award. We expect much more for him, for the Dedicated & Selfless services given by him to the society. And now a blog offering latest news on Property & Real estate ! The Delhi High Court today refused to further entertain a PIL challenging the decision of electricity regulator DERC to allow three discoms to raise power tariff under the head of Power Purchase Cost Adjustment Charges (PPAC) costs. "Delhi Electricity Regulatory Commission (DERC) is the right fora. You raise the plea there," a bench of Chief Justice G Rohini and Justice Pradeep Nandrajog said while disposing of the PIL on the issue. Earlier, the bench had asked DERC to file its response as to whether it has complied with its own formula and procedures in permitting the discoms to raise power tariff under the head of PPAC costs. DERC had on 31 July, 2013, passed an order permitting Reliance Anil Dhirubhai Ambani Group firms, BSES Rajdhani Power Ltd, BSES Yamuna Power Ltd, and Tata Power Delhi Distribution Ltd to increase their PPAC charges by 6, 8 and 7 per cents respectively. The court was hearing the PIL filed by Madhuresh Lakhaiyar who has alleged DERC, acting in collusion with the discoms, had permitted them to increase Power Purchase Cost Adjustment Charges (PPAC) costs. There was a nexus between DERC and discoms as even though PPAC is a component of the tariff, no public hearing took place, which was in violation of a provison of the Electricity Act, 2003, the plea said. with thanks : OutLook : LINK : for detailed news. The SMS helpline — that was launched in January by the then chief minister Arvind Kejriwal to address complaints on loadshedding in Delhi — seems to be heading nowhere. The Delhi Electricity Regulatory Commission (DERC) has asked the Delhi government to change the present mechanism by which complaints on power cuts received through SMS are being sent to the power regulator. The helpline registers complaints of unscheduled power cuts through SMS, which are directly forwarded to the DERC for action if there is fault on the part of discoms. The Power department has received 1,406 complaints through this helpline and found 1,043 valid. There are 498 SMSes against BRPL, 367 against BYPL and 178 against TPDDL till April and all these have been forwarded to the DERC to decide whether these power cuts were because of maintenance of lines or some other local problem and, if not, whether these were unscheduled cuts. with thanks : Indian Express : LINK : for detailed news. With peak summer approaching, Delhi’s Lieutanant Governor on Wednesday stressed upon the need for formulating steps for regulating supply of water and directed the Power department to set up a 24×7 control room and publicise the numbers of those responsible for specific areas for quick redressal of public grievances. “The most critical issues for summer are adequate supply of water, uninterrupted supply of power, and municipal functions being robust. There must be proper delivery of these three services to the people of Delhi, especially in the summer. All Secretaries must take it upon themselves to ensure that there is delivery on these fronts and there should be fixing of responsibility for non-delivery of services,” Lt governor Najeeb Jung said during a meeting at Secretariat on Wednesday. This is the first time since 2001 that a Lt Governor held a meeting at the Secretariat. He directed the Jal Board, the Power Department and the Municipalities to gear up for the summer and leave no stone unturned to ensure proper delivery of services. “The control rooms set up by these departments during the summer months must be manned 24×7. 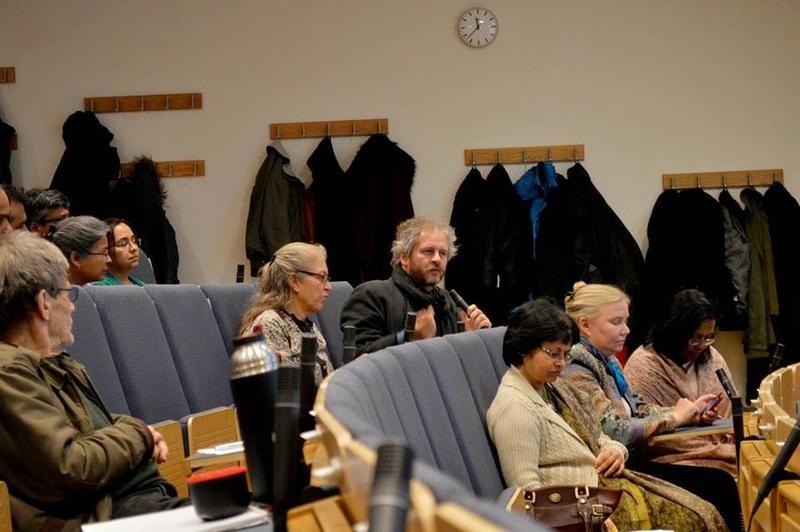 The response time to queries must be prompt and information must be disseminated properly and shared widely with the public so that they are aware of ground situation,” said Jung. The Lt Governor was informed by Secretary (Power) that the department is developing a mechanism to redress the complaints from the public which go unheeded by DISCOMs. The Secretary (Power) requested police assistance/CISF of about 100 people to power department for curbing theft and for conducting raids and checks. He also informed that regular meetings are being conducted with DISCOMs for providing uninterrupted power supply to the people. A Health show on Care World TV Channel - Kyunki Hume Aapki Fikar Hai ! They want to organise a health show in your society, where you will be having the health experts answering all your health related queries. Therefore, we would like you to highlight the event in your society & create an awareness amongst the residents about the Health show so that we get maximum number of residents participating & getting benefitted. We need support from your end to make this Health Event a grand Success. Kindly fix up a schedule for this event at your location at your convenience & intimate us by a mail at the earliest. NEW DELHI: Delhi Jal Board has been awarded the international Water Performance Initiative Award, 2014 at the prestigious Global Water Summit held in Paris, France from April 6 to 8. 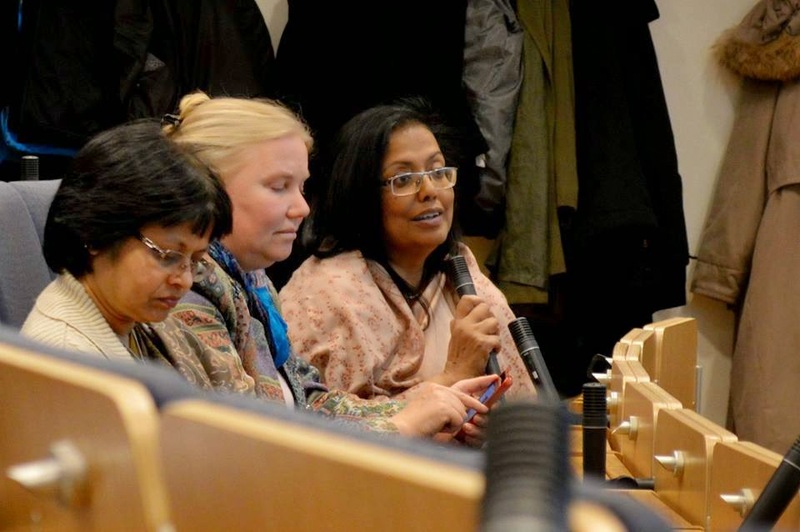 The award was presented during the Global Water Summit, held in Paris earlier this month. The citation states "DJB successfully weaned itself off state subsidies whilst reducing its debt burden, thus, becoming one of the first utilities in India to cover its O&M costs. It also commends DJB for having revitalised its obsolete billing and collection system, thereby reducing billing cycle, improving accuracy and developing a robust customer database. DJB made sustained efforts to tackle the city's tanker mafia and secured a safer service for its vast client base". summer is still setting in, but the city residents have already started feeling the heat in terms of water availability. Officials in the Delhi Government public grievance redress cell said a majority of the complaints received in the past fortnight were related to water supply. 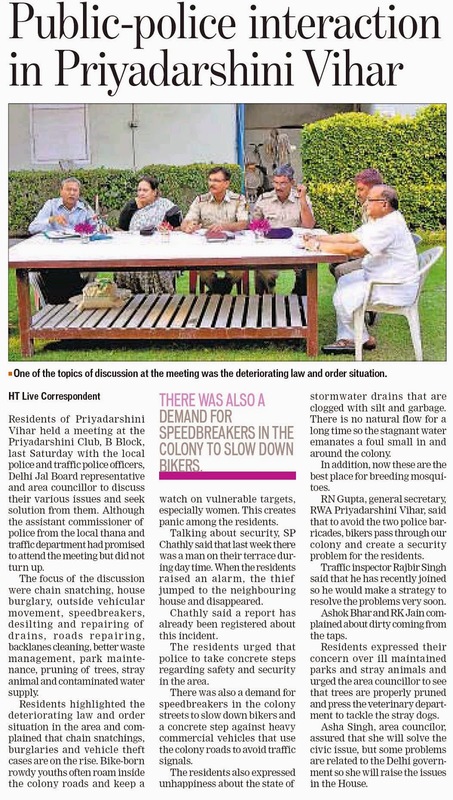 While the public grievance cell, officials said, had witnessed a dip in the number of daily complaints being received over the past two months, a majority of the complaints received this month are related to the Delhi Jal Board, followed by those against the Delhi Police. “On an average, the grievance portal launched in January alone received 100-150 complaints daily. The number witnessed a significant dip after the Aam Aadmi Party government quit. The numbers have started growing again. Now the daily average is between 20 and 30. Apart from that, we are receiving around 10-15 complaints in physical form at the Secretariat office. Most of the complaints are related to water,” said a senior Delhi Government official. 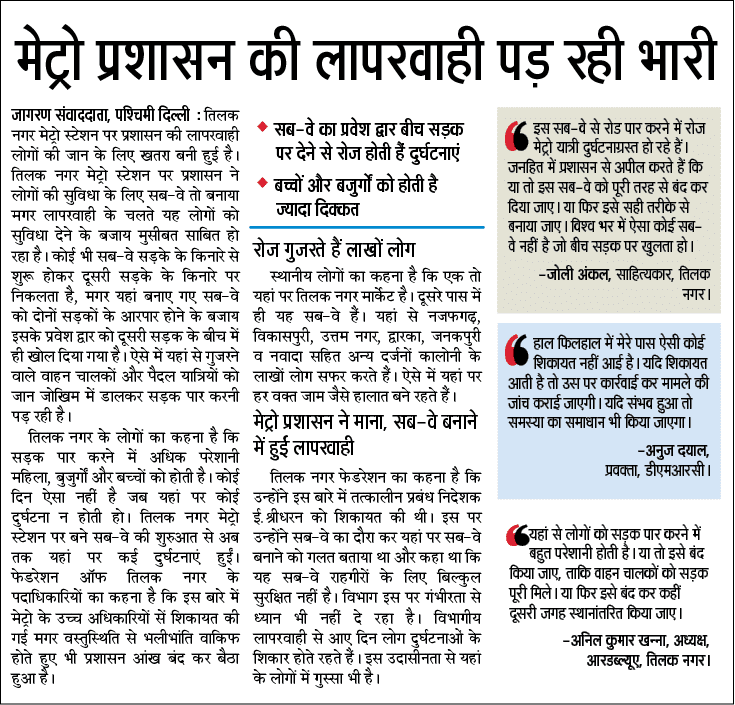 DERC is insensitive to such proposals/suggestions from the stakeholders. 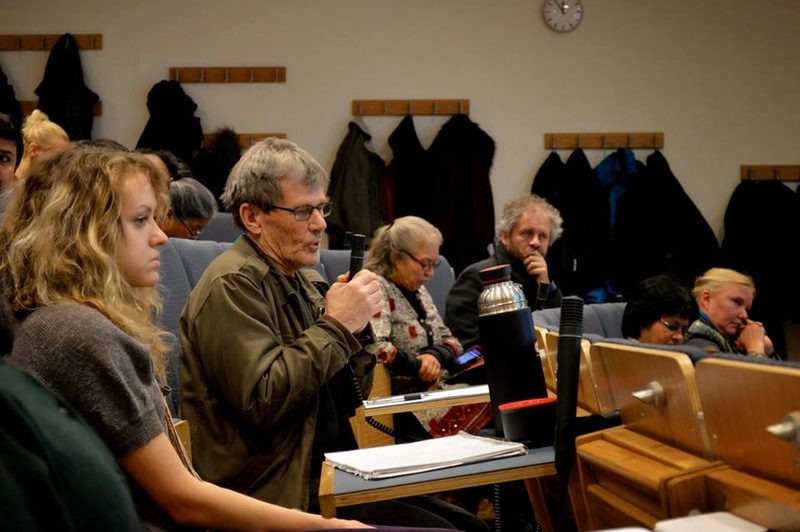 We also raised such wasteful use of energy in our public hearings from time to time. The Discoms shirk their responsibility for the parks/high masts. When we suggest to shut off the electricity on the pole where repairs/fault is, instead of whole ray of poles, they simply tell us they have no such technology at present. This is the right time when DERC need to assert itself for implementing such useful suggestions from the stakeholders/public at large. As the DISCOMs have succumbed to CAG audit, they should be called upon to come under RTI Act,2005 also. We fully agree and support the views of Mr Balu. We see street lights on till 6 - 6.30 am in summer whereas they should be switched off latest by 5:30 am. We have to switch on and switch off street lights and high mast in parks ourselves, whereas BSES should be responsible for it. At places, we have seen that even after installing high mast the existing halogen lights (under or very close to the high mast) are not removed and they are also switched on every day. We have raised it couple of times in BSES meetings and got a few removed, but they won't remove the others on their own - they don't have to pay from their own pockets. It is also good idea that BSES provide CFL/LED bulbs and tubes at subsidized rates; involve RWAs for promotion in their respective areas. Subscribe RWABhagidari News Letter. It's Free ! Ample scope to 'save energy' ! While I reserve my comments on 'increase in tariff' by the DISCOMS, I would like to specifically point out and bring to the notice of the authorities once again there is ample scope to 'save energy' which is not being resorted to deliberately by the authorities concerned! I quote only a couple of examples e.g. why the street lights, lights in the parks and in other public places the lights should remain 'on' even after the dawn time when all such places become bright; why should they use powerful 'halogen' lamps etc. which consumes a lot of power and switch over to 'CFL' or LED/LCD' which they profess in their advts. Some of the cities in our country have switched over to the latter to save power which means a lot and thereby save the money of aam aadmi for ever; why not have a mechanism of switching over automatically which they could resort to, as is being done in most of the areas/spheres; why should you have 'high mast light' in parks; why not encourage selling CFL/LED bulbs etc. at subsidized rates to the public to save a lot of energy for domestic use and encourage the people to exchange the conventional bulbs with such 'energy saving' bulbs, etc. While we may continue to contest the 'hike', the suggestion made above may be taken to its logical conclusion and implement them in phases all over - setting an example in a particular area or colony through the assistance of RWAs etc. 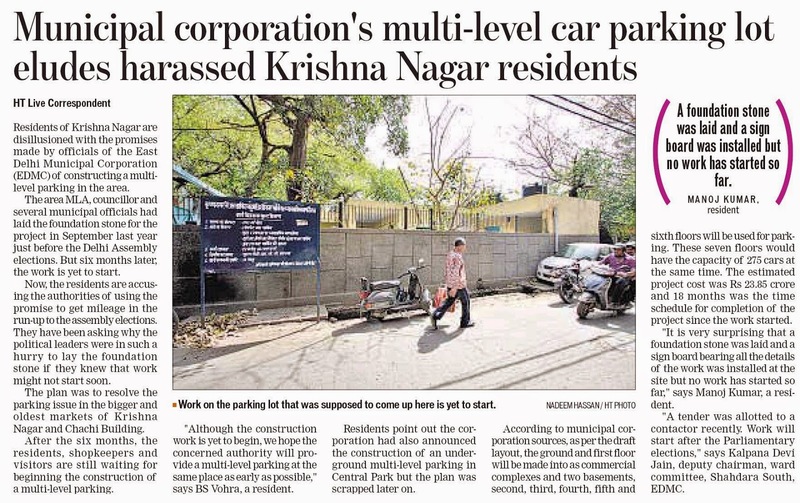 Let's mean business instead of shouting from the roof top and resorting to agitation in streets which only disturb people and cause untold inconvenience to them! Let me be pardoned to say so but I am expressing my anguish in resorting to such methods instead of following the democratic way which we should uphold! The power regulator in Delhi plans to seek approval of the Election Commission before proceeding on the plea of private power companies to hike electricity rates in the new financial year. If the power companies’ request is accepted, consumers may be forced to shell out extra charges in their monthly bills, sources said. Sources in the Delhi Electricity Regulatory Commission (DERC) said that in case of any delay on the issue, private power distribution companies (discoms) were likely to protest.The companies did not want to continue supplying power at current rates and were opposed to putting off rate fixation for fiscal 2014-15 till the end of the multi-phase Lok Sabha elections, they said. The DERC fixes power supply charges for the capital. 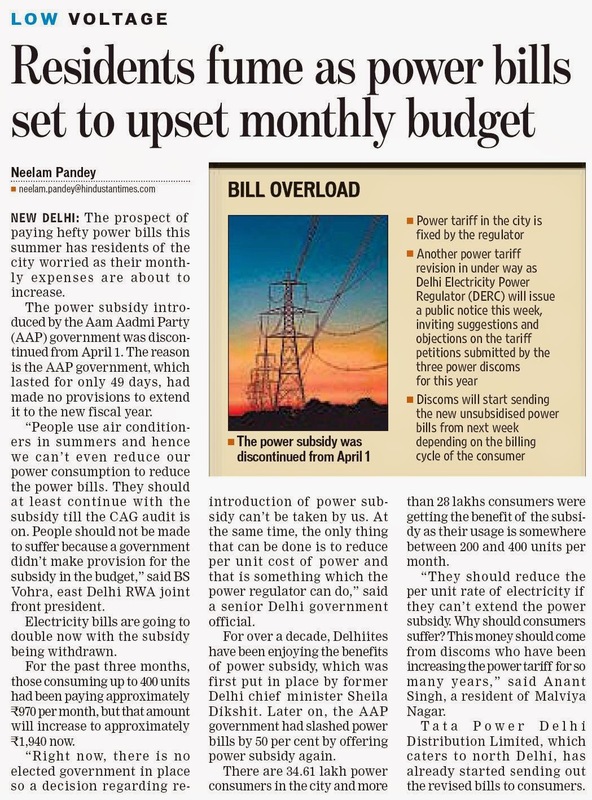 The process of revising the power tariff usually begins in February or March, but it could not be done so this year because of the drive launched by the Aam Aadmi Party government against discoms. 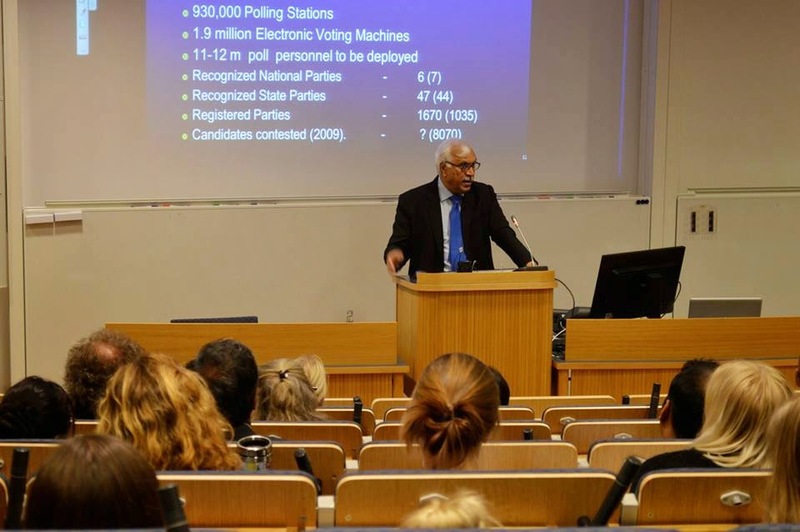 The announcement of the Lok Sabha elections brought the model code of conduct into effect. The DERC initially planned to seek the Election Commission’s approval to begin the process of computing power tariff for the new financial year. with thanks : Deccan Herald : LINK : for detailed news. In order to prevent water-logging on arterial roads and colony streets in the city during the monsoon, Lieutenant-Governor Najeeb Jung has instructed the civic agencies to complete de-silting of drains by middle of May. The L-G on Wednesday held a meeting with senior officials of the Delhi Government and the municipal corporations to review the preparedness for the monsoon, particularly the status of de-silting of drains in the Capital. Officials said Secretary (Irrigation and Flood Control), Secretary (PWD), Commissioners of North, South and East Delhi Municipal Corporations and CEO, Delhi Jal Board made their respective presentations to the L-G about the preparation for the monsoon, including preparation to tackle floods in the Yamuna and drains, as also preparation to tackle heavy rainfall during the season. The L-G has called for a review of the work done together with a status report by mid-May. The Lieutenant-Governor also instructed that the PWD and Municipal Commissioners must ensure that their Chief Engineers and Superintendent Engineers continuously monitor and assess the situation on the ground from the middle of May till the end of the monsoon season in September. The Delhi High Court Wednesday summoned the city chief secretary over not submitting a report on contaminated water supplied to residents and not cleaning the polluted Najafgarh drain that was affecting the health of people due to toxic gases emitted from it and which later merges into the Yamuna river. A division bench of Justice Pradeep Nandrajog and Justice Jayant Nath expressed displeasure on the conduct of the Delhi government and Delhi Jal Board for not filing a status report on the issues sought by it months before. "We had granted time for filing status report. Now we seek personal presence of the chief secretary. He will be present in court April 23," the bench said. The bench also said "Delhi people have no civic sense and throw garbage at any place". The court was hearing a suo motu cognizance on a letter sent to it by the residents welfare association (RWA) of South Extension Part I complaining that 90 percent of the water was contaminated. The letter also informed the court about the dismal condition of the colony due to open sewers and more than 50-year-old pipes because of which sewage gets mixed with drinking water, leading to diseases. Capital all set for an electric shock again ! Labels: Capital all set for an electric shock again ! Going by the petition of the power distribution companies to the Delhi Electricity Regulatory Commission, the Capital might see a hike in electricity bills once the DERC approves the fuel surcharge hike. The discoms made the requests in their annual average revenue requirement (ARR) petition for financial year 2014-15 they submitted to the DERC. The DERC will take the final call on the issue in next three months. As part of the annual tariff revision process, the discoms – Tata Power Delhi Distribution Limited and Reliance-backed BSES Rajdhani and BSES Yamuna Private Limited – have asked for the Power Purchase Adjustment Cost (PPAC) formula to be more “holistic” and reflective of the true power purchase cost and transmission costs incurred by them. They have also asked for the deficit revenue recovery, which is presently 6 per cent, to be increased. The discoms in their petition to the DERC did not seek any specific rate in the increase but asked for “whatever is appropriate”. Interestingly, this is the first time since privatisation of power sector that the discoms did not seek any tariff hike in their annual Average Revenue Requirement (ARR). The discom officials said that they had informed the DERC through the tariff petitions that they would be able to manage their finances with the PPAC hike and recovery of past dues for the next fiscal, without the need of a tariff revision. “The discoms’ cost of buying power from generating companies has increased by around 300 per cent in the last two years while the power tariff, in the corresponding period, has risen by around 70 per cent. This virtually non-cost reflective retail tariff has led to a huge build-up of future receivables (regulatory assets) to the tune of over Rs.19,500 crore, impacting the sustainability of operations of the Delhi discoms,” said the official. The DERC had introduced fuel surcharge in 2012 to help the private power distribution companies adjust their power purchase cost. In January, the power watchdog had allowed the discoms to levy the fuel cost adjustment charge or fuel surcharge which resulted in a hike of 6-8 per cent in the tariff. 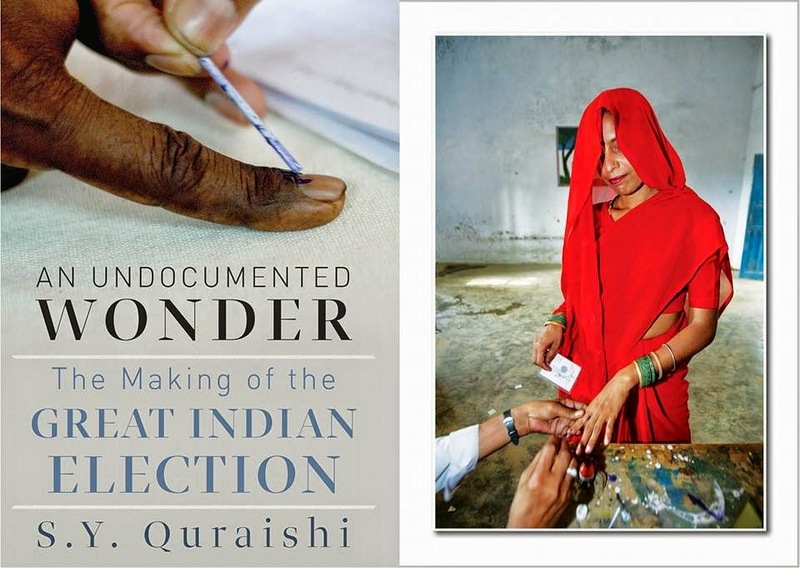 It will be the biggest election in the world when 814.5 million people will cast their vote in India general election between 7 April and 12 May. 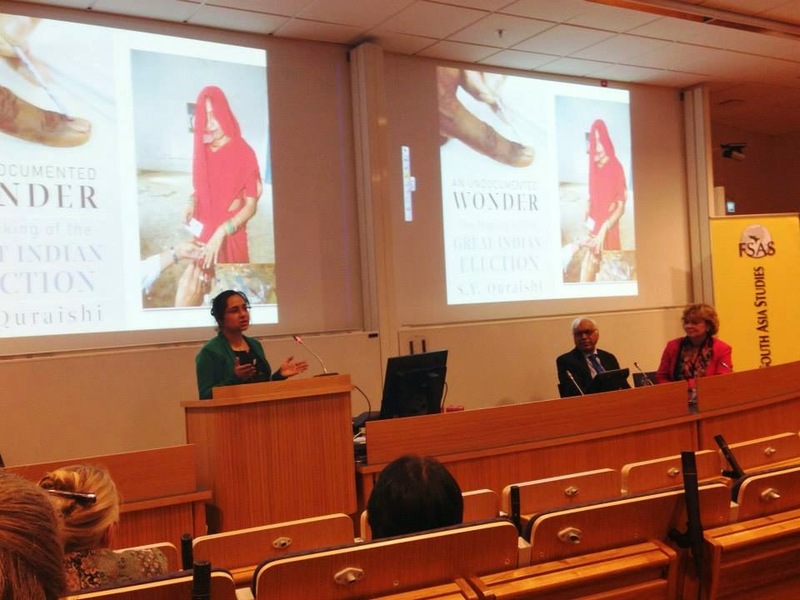 To mark the occasion, On Friday , 11 April 2014 the Forum for South Asia Studies at Uppsala University hosted a talk by Dr S.Y. 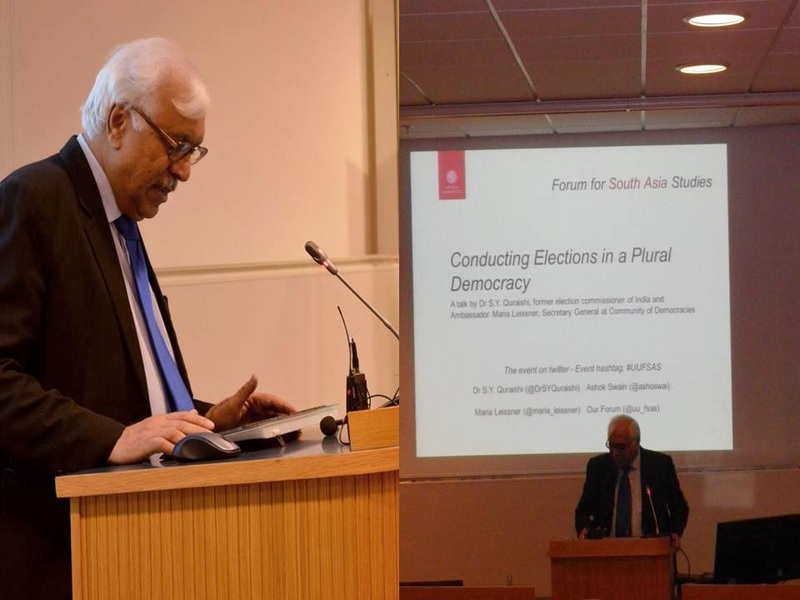 Qureishi, the former election commissioner of India ( a Member of the Board of Advisors of the International Institute of Democracy and Electoral Assistance (IIDEA).,at Uppsala University, at Blåsenhus. 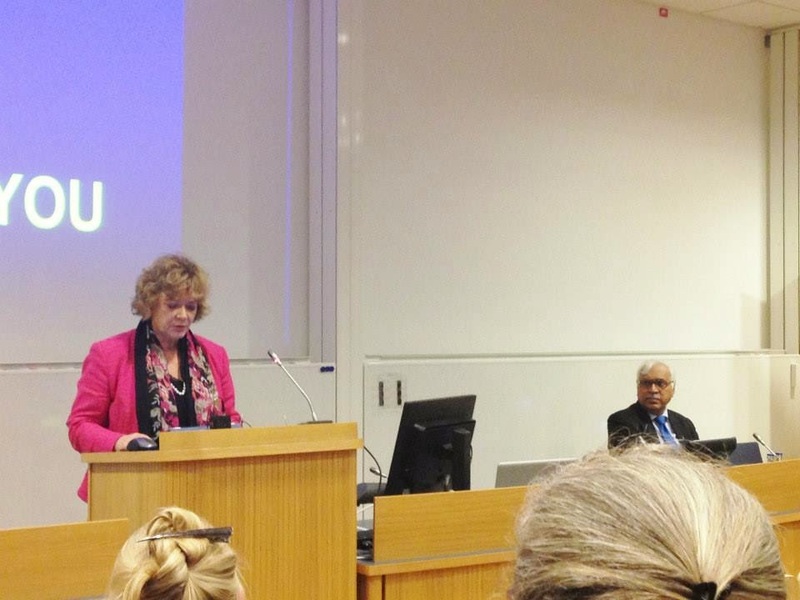 Dr Qureishi spoke about “Conducting Elections in a Plural Democracy”,and was joined by Ambassador Maria Leissner, Secretary General at Community of Democracies since 2012. H.E. 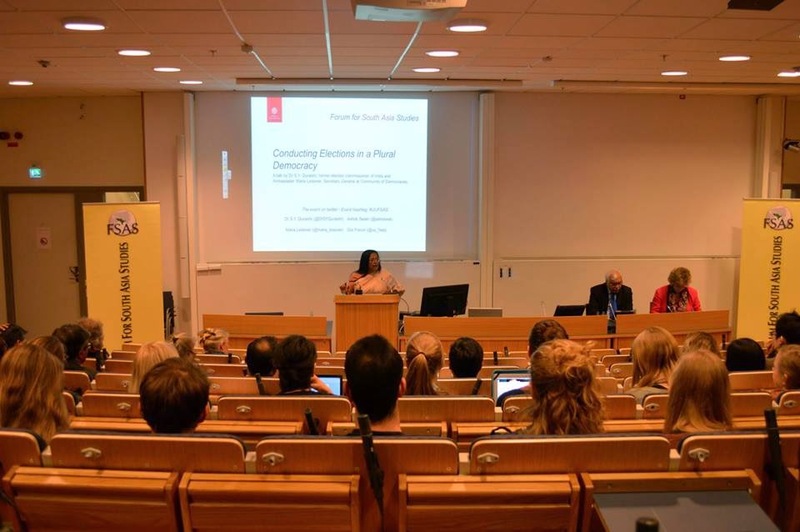 Ambassador Mrs. Banashri Bose Harrison Embassy of India Stockholm. 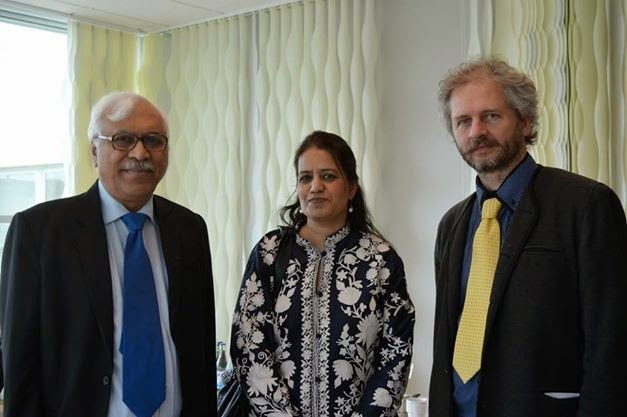 THE other prominent delegates were Ingrid WETTERQVIST,Policy offficer,European External Action Service, Professor Torsten Svensson, Vice Rektor,Uppsala University, Professor Ranj Bali (President FSAS),Professor Heinz Werner Wessler, Associate Prof.Dr. Gurdeep Kaur,Eva Kllander and Florian Krampe. 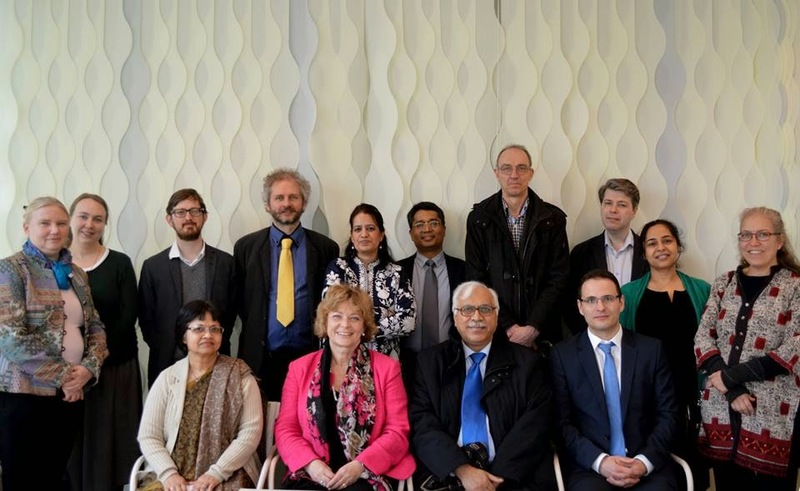 Professor Ashok Swain, Department of Peace and Conflict Research chaired the discussion. 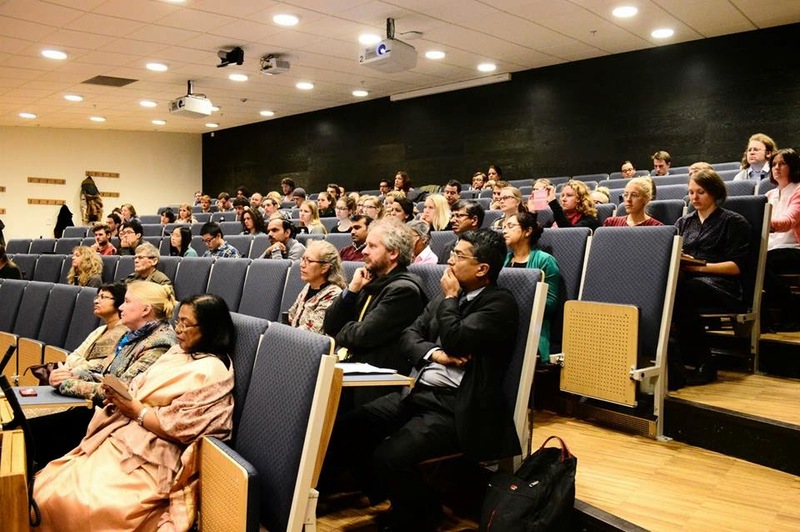 The Forum for South Asia Studies at Uppsala University organised this event in cooperation with the Indian Embassy, Stockholm. Stray dogs and monkey menace ! Sometimes I wonder whether we are living in a cosmopolitan city or in a jungle, unattended and unheard of, which gives a very poor and nasty impression to the visitors in particular besides the menace created both by stray dogs and monkeys ! The administration is loathe to all these perennial problems despite constant, consistent and continuous complaints ad nauseam! What could be done by aam aadmi who all have to depend on the administration to get rid of or overcome this problem! I had myself been a victim of dog menace which cost me over Rs.30,000/- to mitigate its impact! Can all the poor people afford this luxury! Failing which you may have to face its impact not immediately but over years later, which had happened in one case!! You may approach any Councillor, MLA or MP they too are helpless except giving some sweet lip service and arrange to depute a dog squad, after consistent complaint, to sterilize the stray dogs on the spot, if they come into their trap, and leave them over there itself. Will it be a long term remedy? Sir, there are so many untold and inexplicable problems like this and more to be focused for remedial solutions but alas the administration and the elected representatives are deaf to hear and solve unless and until you approach them time and again with a lot of influence etc. to pay attention! This is the real state of affairs, indeed! Who can afford so much time and energy to pursue such matters to a logical solutions besides attending to their day to day problems and vocation! May I, therefore, once request you to call for such perennial problems with solutions, if possible from all RWAs under your umbrella and command(!) to consolidate and focus these to all concerned right from the top - LG to the bureaucrats - at the lowest level of 'administration'! No doubt you had made several attempts in this respect but we too should be blamed equally, rather more, for not responding to your clarion calls and focussing them timely!! However, let's invoke Swami Vivekananda's golden words - "Try and try again till the goal is reached"! It is not mere hyperbole but achievable, sooner or later! Dog Menace in Tuglkabad Extension ! The same stands at our Tuglukabad Extetention. Kindly send me the email addresses of the requisite MCD authorities and others who take action on stray animals pl. At the same time I have come to understand that the MCD has allowed an increase of height of multistory buildings from 15 meters which was the earlier height and now it is 17 meters. How do u digest this and how and what are the norms exactly. Request pl guide. Dog menace in Priyadarshini Vihar also ! In continuation of Mr Nanda and Mr Karsolia's messages, the problem of stray/street dogs is much more serious in Priyadarshini Vihar for many years. The govt policy is to take the dogs, sterilize them and drop them back in the same colony - many of them breed even after sterilization! RWA has approached the MCD/now EDMC and even the MLA umpteen number of times, without any resolution of the problem. I think a joint strong action is needed by the Joint Front to get the policy amended. Dog menace in Tri Nagar too ! Stray Dog Menace at Safdarjung Enclave ?